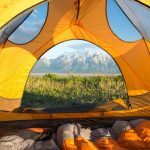 One of the reasons I love travel is because just when you think you’ve seen the best mountain, the best lake, the best waterfall, the best countries in the world, travel throws up something new. That something this time was Triglav National Park in Slovenia. 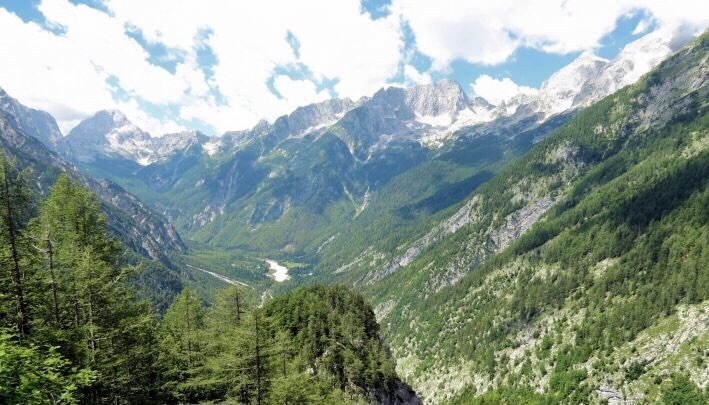 Located in the North West corner of the country, Triglav National Park forms part of the Julian Alps, with the highest peak – Mount Triglav – standing at 2,864m high. 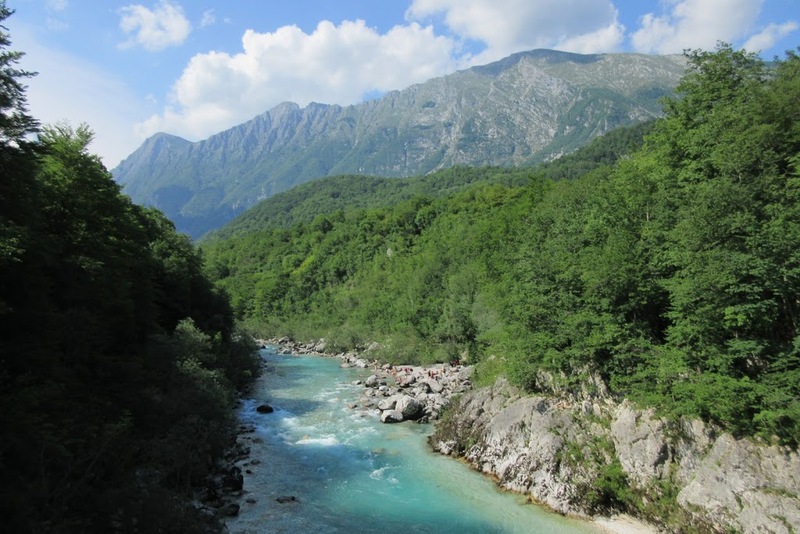 Slovenia only has one national park, but boy does it give other National Park’s around a world a run for their money. 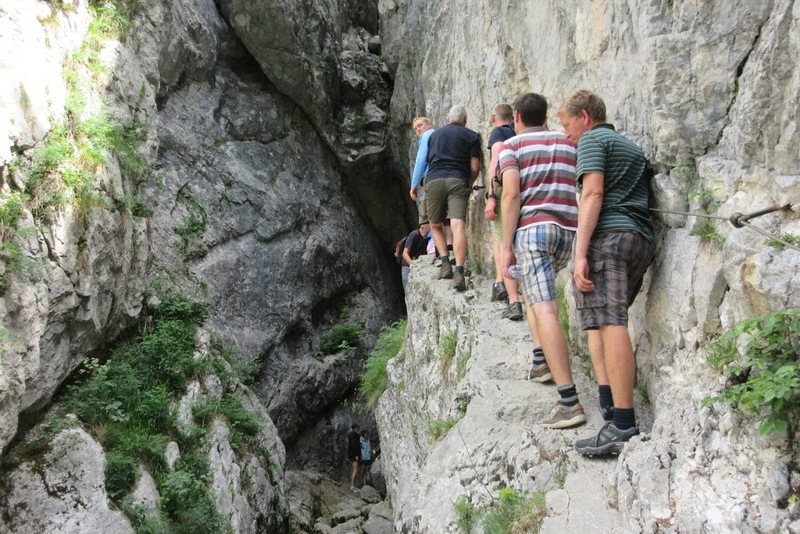 I can’t count how many times I said ‘unreal‘ and ‘stunning‘ during our Slovenia trip in June. Yep, Lake Bled and Triglav National Park well and truly took my breath away. 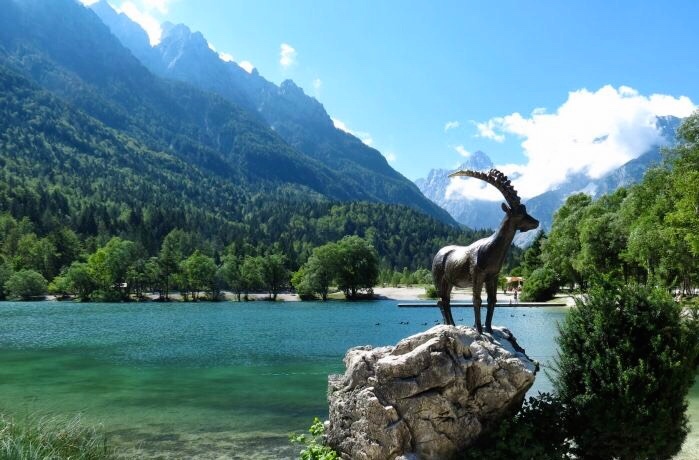 After a 25 minute drive from Lake Bled, our journey began at a golden-horned ram (zlatorog) statue on the edge of Lake Jasna. 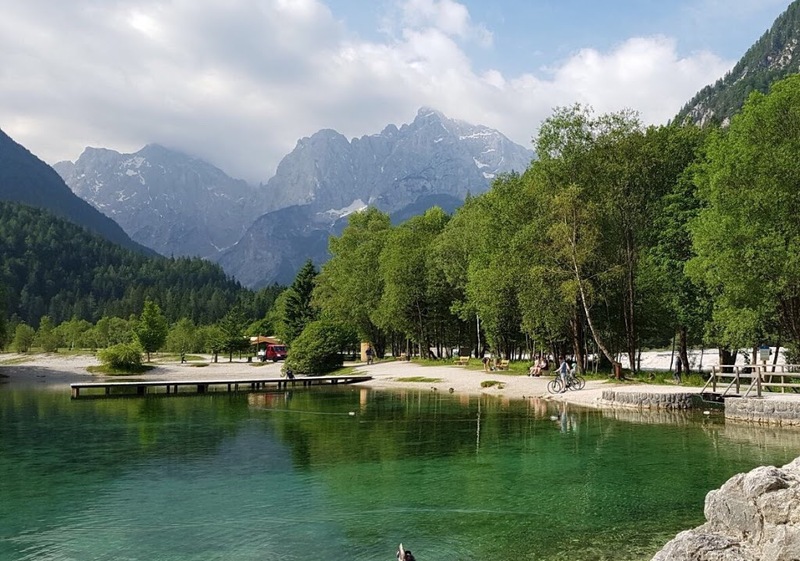 Lake Jasna is a stunning alpine lake, and the perfect stop for anyone wanting to sunbathe, swim or simply take in the breathtaking views. After admiring the mountain range backdrop and taking some photos, we hopped in our minivans and made our way to the Vršič Pass. The next event of our journey was to gain elevation. The minivans had to tackle the famously precarious Vršič Pass, the highest mountain pass in Slovenia. With about 50,000 switch backs, it snakes its way up and around the mountains. At its peak, it hits an elevation of 1,611m. 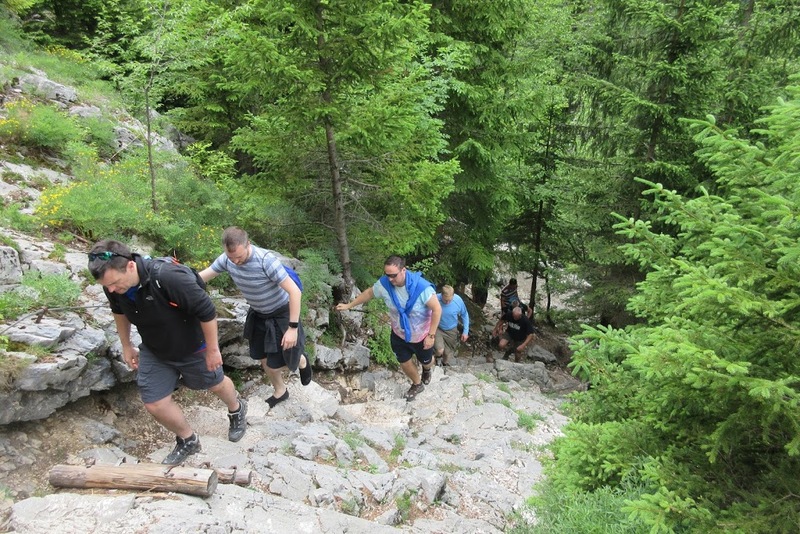 We jumped out at the top, and began our hike uphill, heading for the Prisank Mountain Window. After a short hike, we’d reached our destination, on a peak looking directly towards Prisank Mountain. Facing us, the mountain showed us its huge North wall. There are two marked and secured climbing routes (via ferratas) which lead across the face for skilled mountaineers, but we were happy just to take in the views. Our guide, Jaka, then pointed out an interesting feature on the North wall. 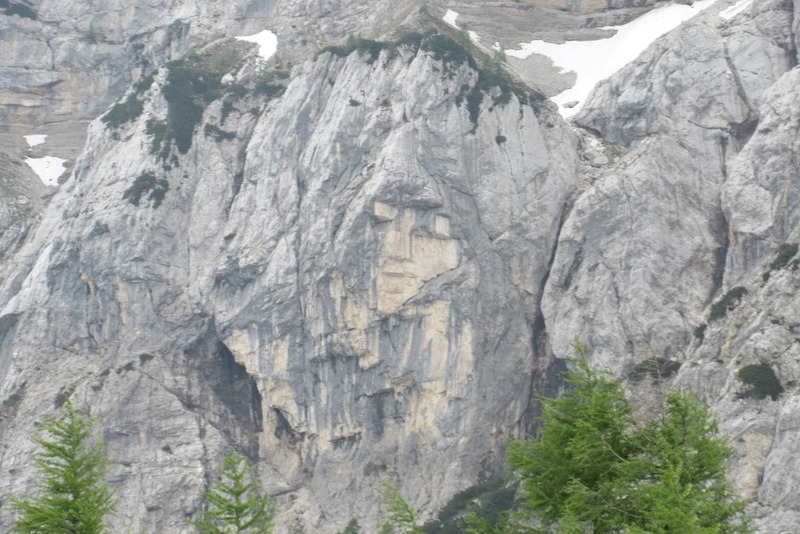 Known locally as Ajdovska Deklica (the Heathen Maiden), formed naturally in the rock is a formation that resembles a female face. The legend goes that the Heathen Maiden prophesied to the son of a hunter that he will shoot the Zlatorog. Other heathen women were upset by this, and turned the prophetess into a rock. After a look around some of the mountain cabins nearby (and standing in awe of the views several times) we hiked back down to the minibus, and headed down the other side of the mountain (more hairpins), before stopping for our second hike. 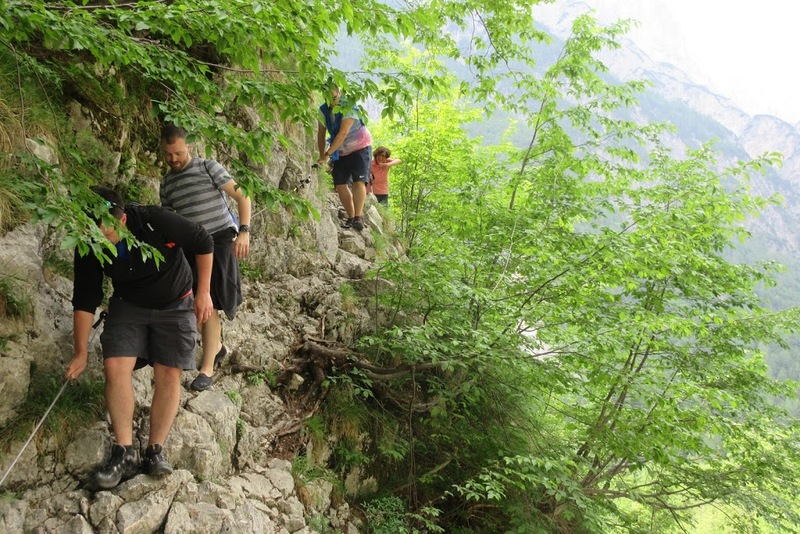 The hike up to the Soca River source was steep and fairly technical. Not for the faint hearted, after skirting the edge of a forest next to the river, we climbed higher, towards some caves, and the source of this Emerald river. A metal rope was now being used as our guide and support as the path narrowed. No risk, no reward, so we ploughed on, cautious step by cautious step. Finally, we made it to the source, but the entrance was a short climb down, and required single file access. 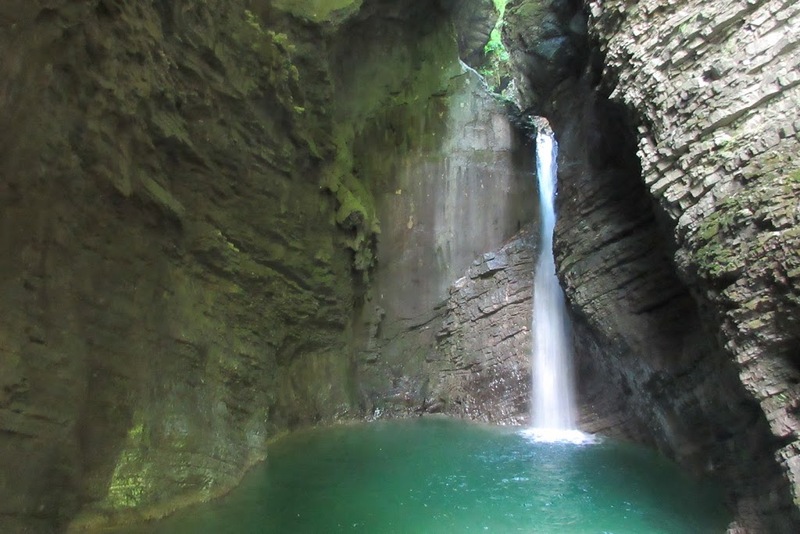 The source itself is located inside a cave, with a huge drop beneath the rock, filled with crystal clear water. I had to watch my step, as I couldn’t tell where the stony entrance finished and the water began. This is the only picture I have of the source. 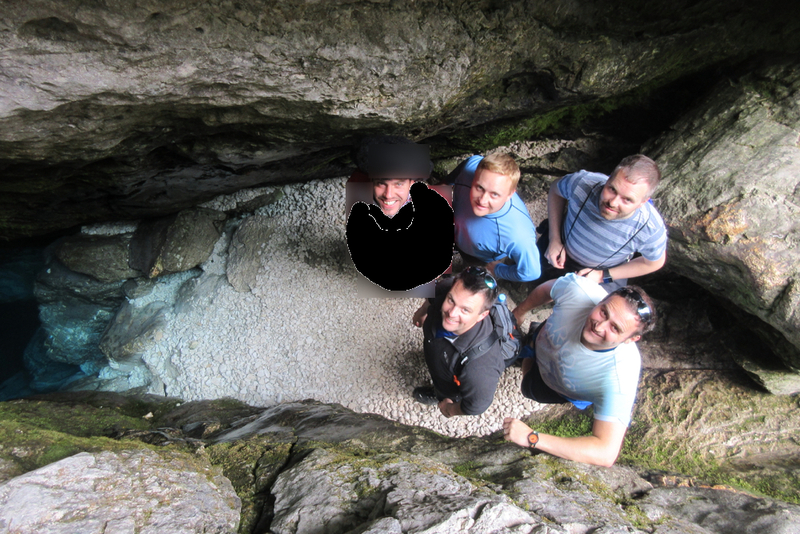 Please excuse the blurring out, but this was my stag do / bachelor party trip, and the outfit is not at all suitable for public eyes! 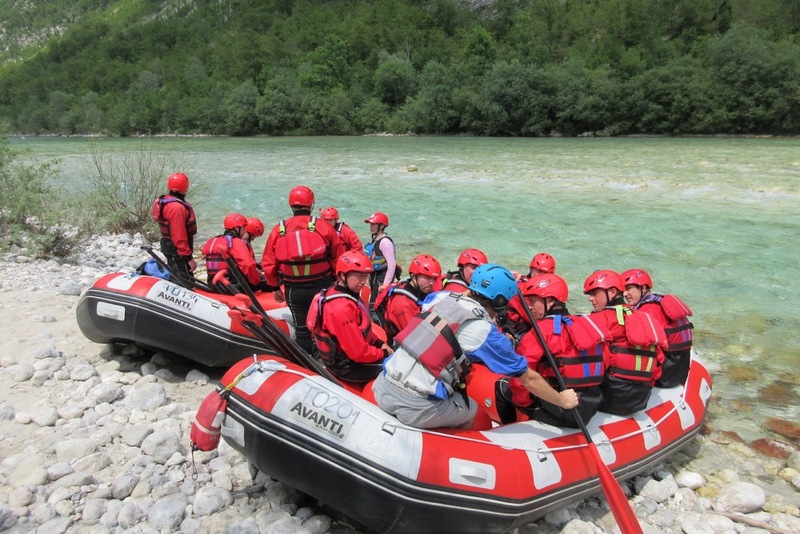 After a spot of lunch in a local village and a short drive down the Soca River, our main activity of the day was here: rafting. 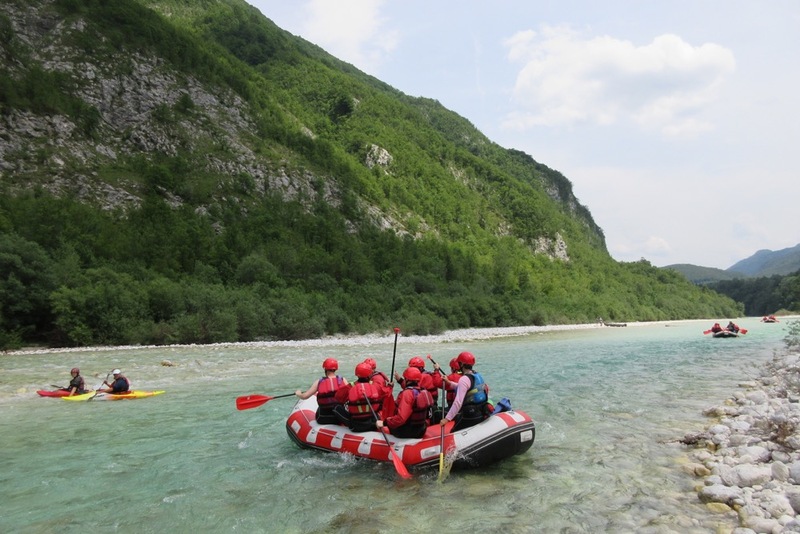 With the stunning backdrop of the Triglav mountain range, we hopped into our rafts and let the current take us down the river. With a few twists and turns, falls and sitting positions, our briefing was complete and we bumped our way between boulders in the river. The water may look amazing, but it was far from warm, with all the snow melt from the mountains making it decidedly cold! With adrenaline pumping, and everyone safe and accounted for, we dried off in the sun, before heading off on our final hike of the day. 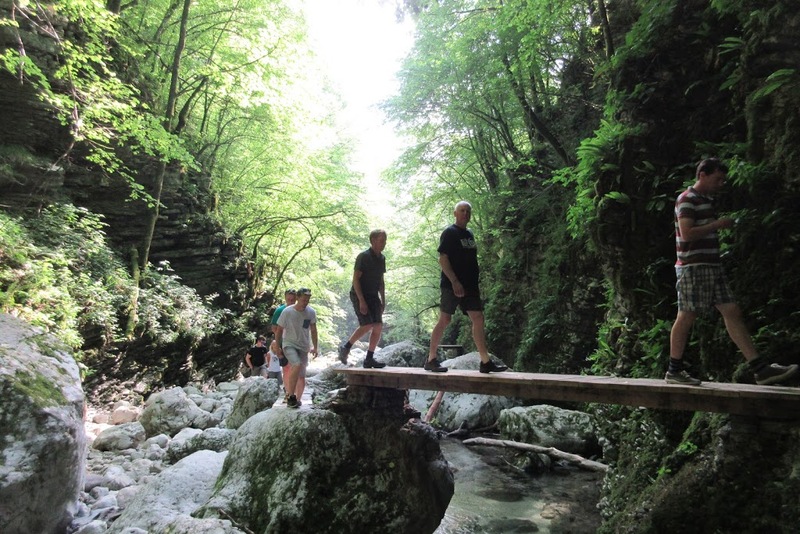 The hike in itself to the Kozjak waterfall is pretty amazing. 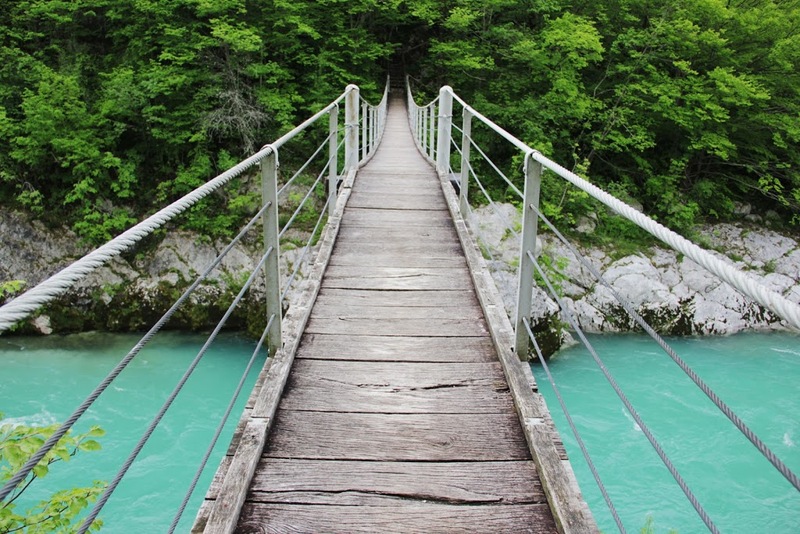 Skirting the edge of the Soca river then crossing over a suspension bridge, the scenery is incredible. After crossing several bridges, and the walls of the gulley narrowing, we approached the entrance to the waterfall. And then we made it. Again, much like the Soca source, the water was crystal clear. Perfect for a dip to cool off! If all the adventures of the day weren’t enough, we still had one last treat to come. In the small town of Bohinj, on the Southern side of Triglav National Park, there is a train which carries cars through the countryside, back to the outskirts of Bled. 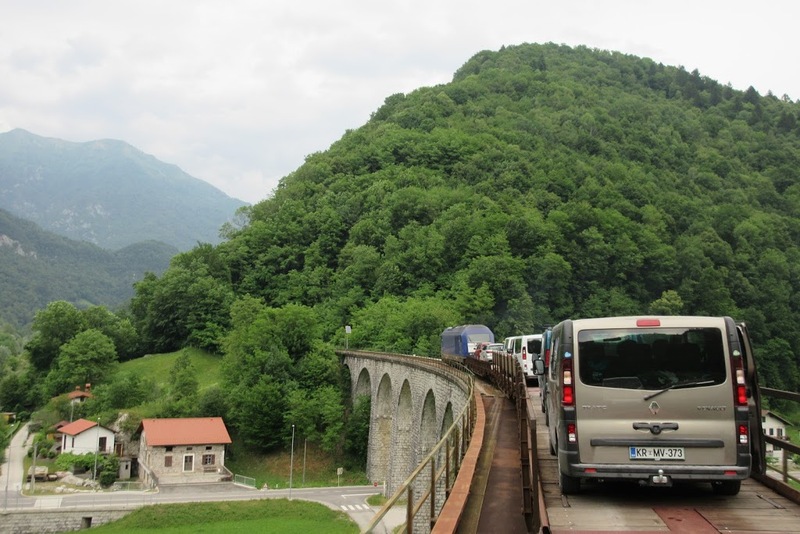 With the side door slid open, the country breeze was a welcome relief from the heat, as we rolled across viaducts and through tunnels, back to Bled. 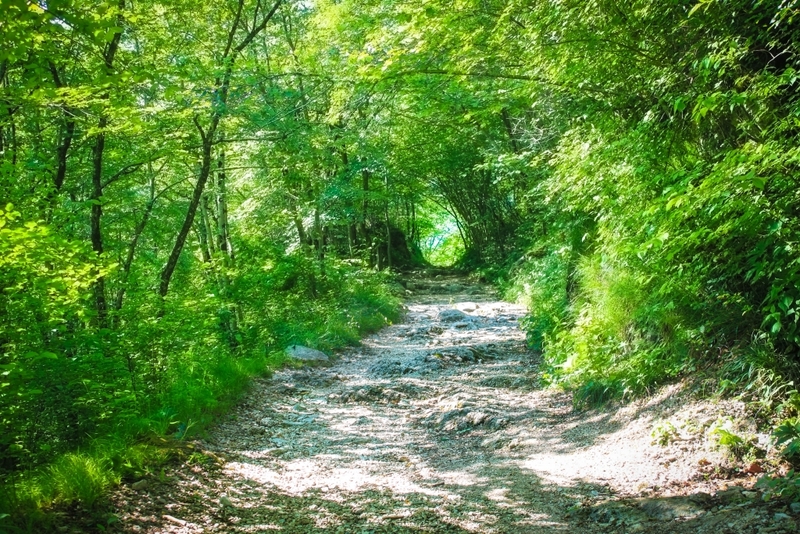 The train journey takes around 30 minutes, but is well worth the trip, to see some of Slovenia’s hidden countryside. 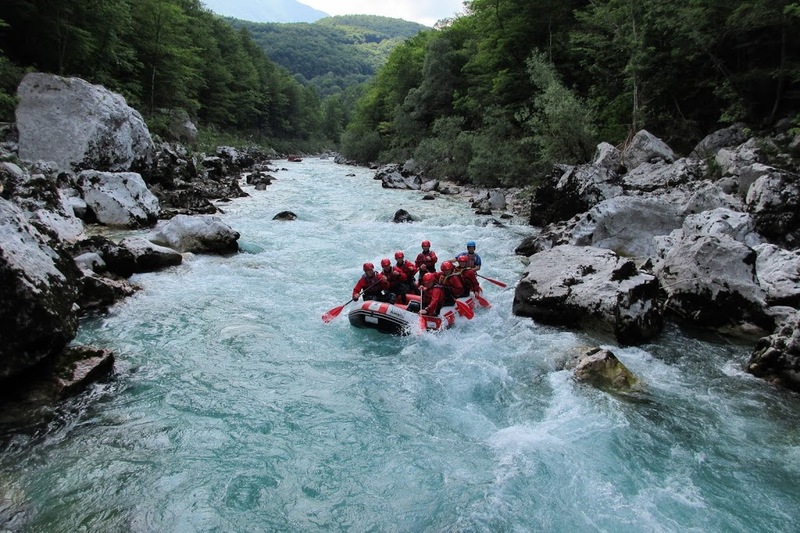 Our Emerald River Adventure trip was run by the awesome team at 3 Glav Adventures. 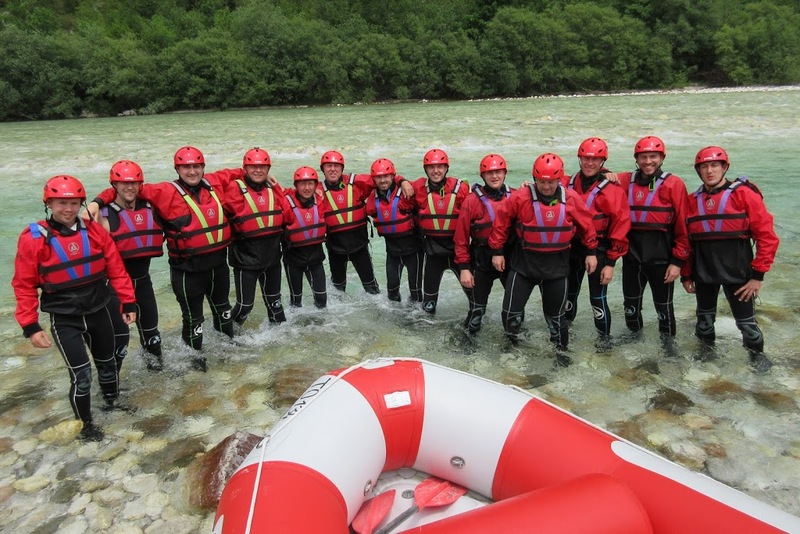 These guys are based in Bled, so give them a shout if you would like a similar day experience of Triglav National Park. 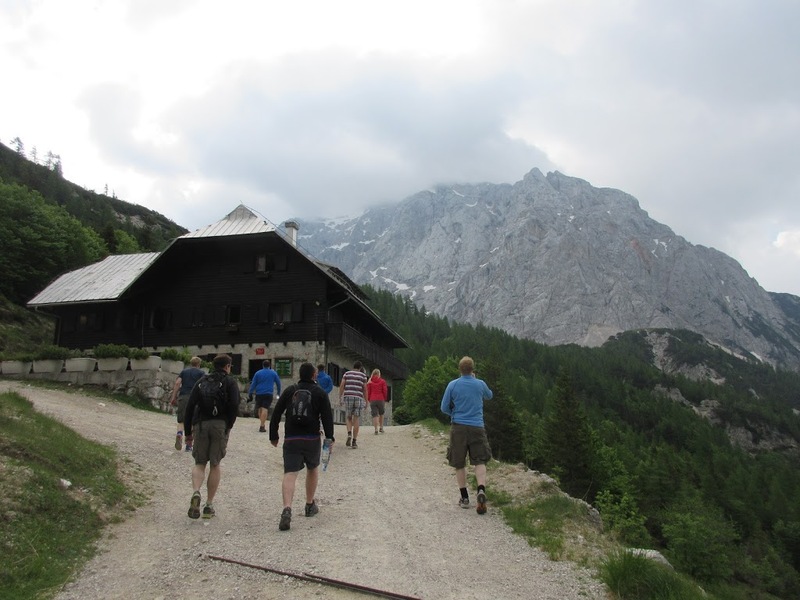 The whole day cost around 80 Euros – a bargain for the experiences you receive. 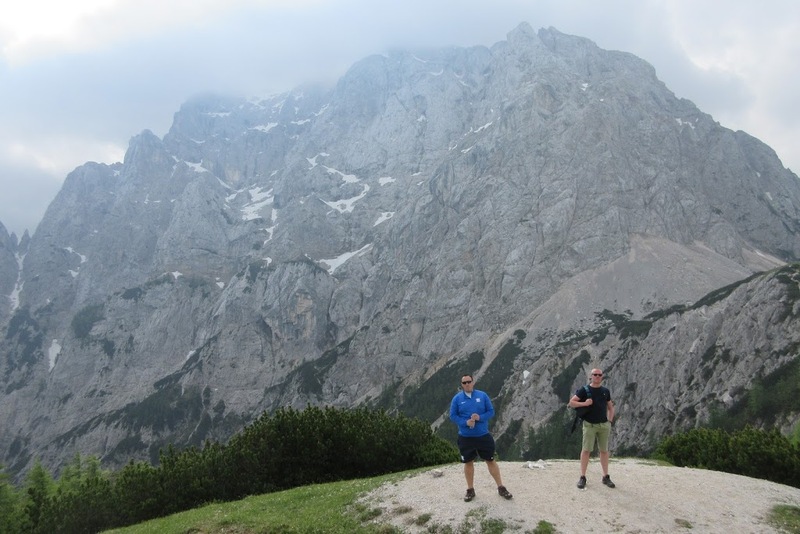 I would love to go back and explore Slovenia properly, maybe on a road trip, and to do more hiking. 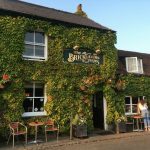 It’s a country I would never had imagined would be so stunning, cradling so many hidden gems and places that blow your mind. 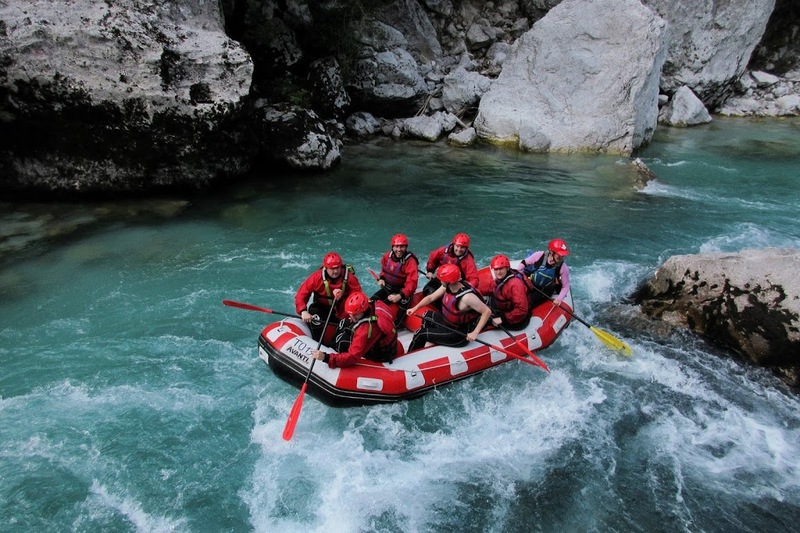 If Slovenia isn’t on your to-do list, I hope it is now.